Your 30s is a great time to reassess your skin care regimen. The skin care products you used in your 20s are not going to be appropriate for your skin now because this decade is when you'll begin to notice signs of aging and sun damage. Incorporating products designed to combat these issues into your daily skin care routine will make a big difference in your skin's overall appearance not just now but for years to come. Keep reading to find out how to care for your skin during this decade of your life. Before picking out products figure out your skin type. Not only do you need to have the right skin care products for your skin type, you also need to figure out if you are dealing with any other skin care issues that need fixing such as acne or dark spots. When it comes to skincare basics, everyone needs a quality facial cleanser, exfoliator, moisturizer, and sunscreen. These 4 products are not negotiable. You have got to have them and use them daily. If you have oily or combination skin, we recommend sticking with a gel based or foaming cleanser. For those of you with normal or dry skin, we recommend a cream based cleanser. Toners are optional, but many find they improve skin tone. 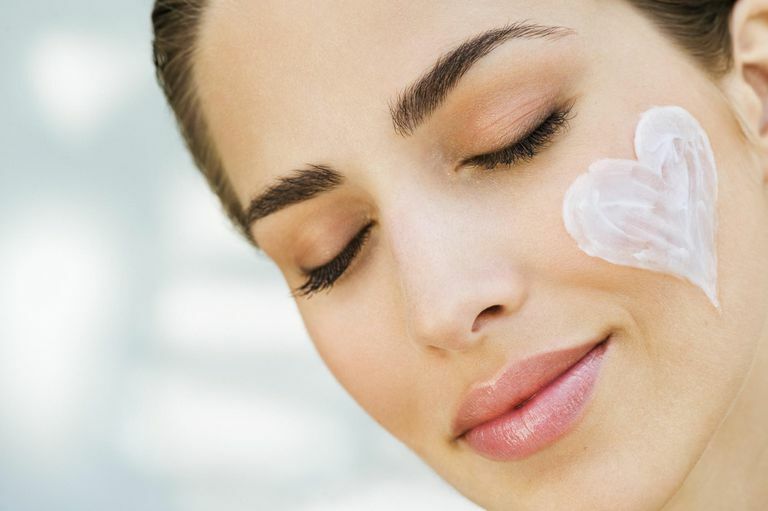 Toners are great for very oily skin since they can sop up excess oil from the skin. There are toners that can add moisture back into the skin which is great for very dry skin. Once you hit your 30s, you may start noticing early signs of skin aging, such as laugh lines or slight wrinkles around your eyes and across your forehead. While it's too soon to freak out, it's not too soon to start taking care of your skin and to start incorporating anti-aging skin care products into your daily routine. One easy way to do this is by adding a moisturizer or serum with antioxidants into your daily skin care routine in order to give your skin an anti-aging boost. Antioxidants protect your skin from free radicals which cause skin aging. By making sure your skin gets an antioxidant boost daily you can begin to correct skin damage and prevent more from occurring. Sun protection is hands down, your best line of defense against skin aging. 90% of premature aging is caused by UV rays, so use sunscreen every single day. It's important to reapply sunscreen as needed throughout the day, and don't forget to apply it to your hands and neck as those areas of our body really show our true age. There are so many different types of facial sunscreens to choose from that after trying a few you should be able to find a favorite. No excuses! Using sunscreen has to be part of your daily skincare routine. If puffy eyes, dark circles or crow's feet (wrinkles around your eyes) are a problem for you then an eye cream is a great product to add to your routine. Eye cream is not a necessity if you aren't having major skin concerns around your eye area. If you do use an eye cream think about getting one with SPF already in it. This way you are protecting the delicate skin around your eyes from further sun damage. Your 30s are prime time for motherhood and fatherhood, so if you're up all night with the baby, chances are good you'll have dark under eye circles. There are eye creams that can help with that as well. And be sure to invest in a good under eye concealer.